There are 11.5 school days remaining until Summer Break!!! 1. Please return any library books you may still have lying around to Ms. Winstead as soon as possible. 2. Box Tops will be collected through Friday, June 2nd. Please remember to clip and save them over the summer as well!!! 3. We still need End of Grade (EOG) Proctors… please visit the sign up HERE or see the flyer below and consider volunteering. 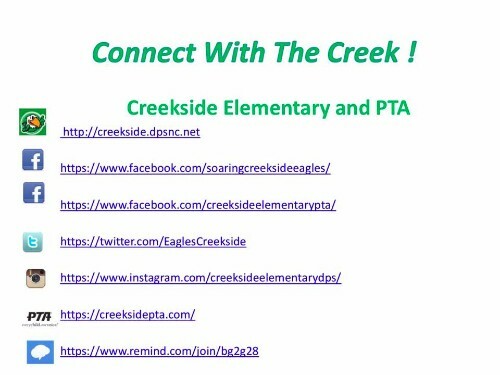 If your family has left Creekside Elementary and you no longer wish to receive this newsletter, please follow the unsubscribe link below. May 24 – Spirit Night at Penn Station AND Brusters!!! Congratulations to the following students (and Mrs. Luke) for performing in the first annual Creekside Talent Show!!! The Talent Show Committee… Kristi Laan, Kari Lovetinsky, Kendra Powell, Kristi Robison, Emme O’Neill, Jan Boxill, Judy Maupin, Amy Hobeika, Erica Libertore, Jennifer Quinn and the Creekside Administrative Staff!! 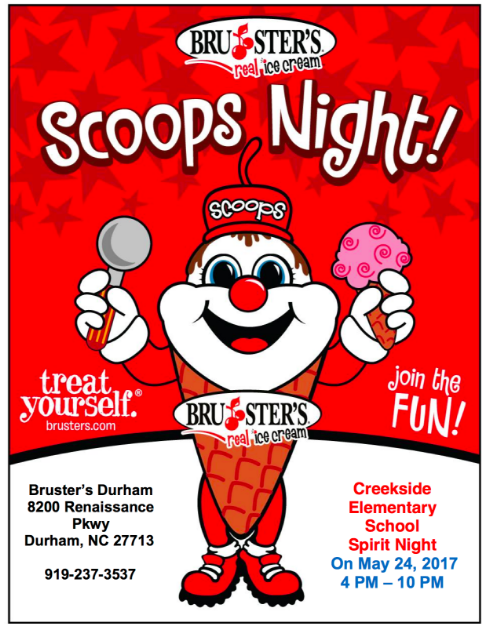 We are teaming up with Penn Station East Coast Subs Durham to hold a fundraiser day for Creekside Elementary School on Wednesday, May 24. Visit for lunch or dinner on May 24 and present this flyer or show it on your phone when you pay and Penn Station Durham will donate 25% of your bill to our school! 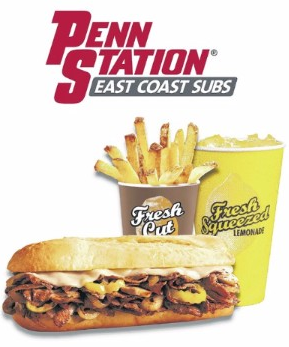 What could be better than Penn Station – offering the best-tasting grilled and baked subs, fresh-cut fries and fresh-squeezed lemonade, all with heartfelt service while supporting our community! 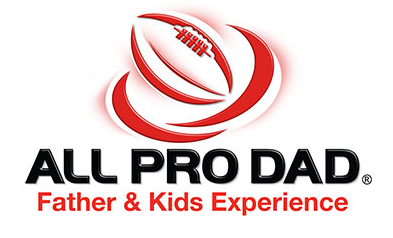 5:45 P.M. – 6:45 P.M.Speaker: CB McGrath – Head Coach, UNC Wilmington Men’s Basketball and “All Pro Dad” to 3 Creekside Students!! We will be voting on next years PTA Officers and the new proposed PTA Membership Fee. We will be showcasing all the great work we’ve done this year as well as holding a Committee Fair with information on how to get involved. The Kona Ice truck will be there providing a much-deserved, end of year sweet treat!! 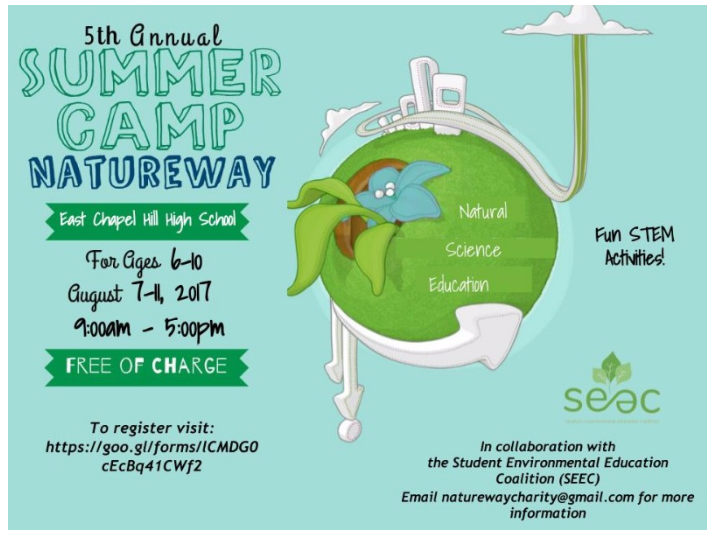 We hope to see you there!!! Book Swap for Summer Reading – Gently used books or magazines (appropriate for elementary school age students – please, no board books) can be dropped off with Mrs. Winstead in the Media Center. 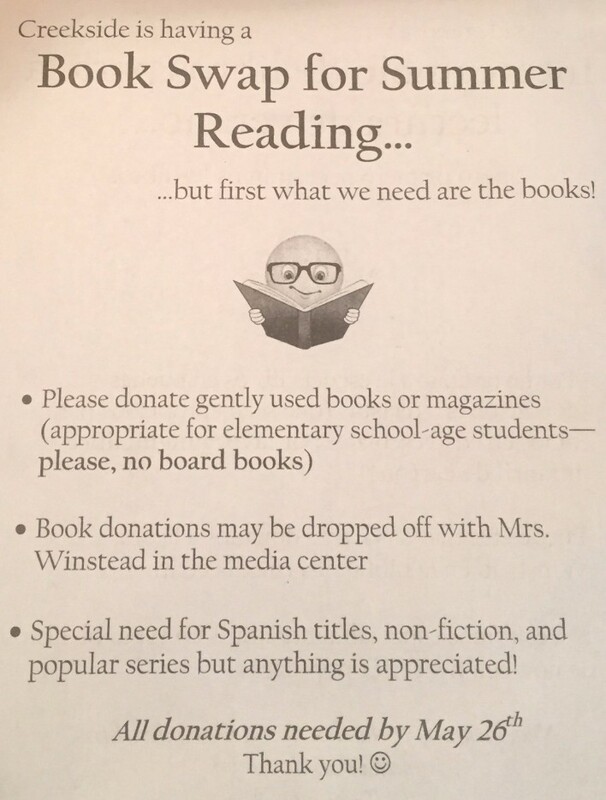 There is a special need for Spanish titles, non-fiction, and popular series but anything is appreciated!! Donations are needed by May 26. Thank you!! 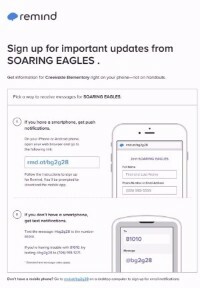 Creekside is now using the Remind app as an important way of communicating with our families. Join today! 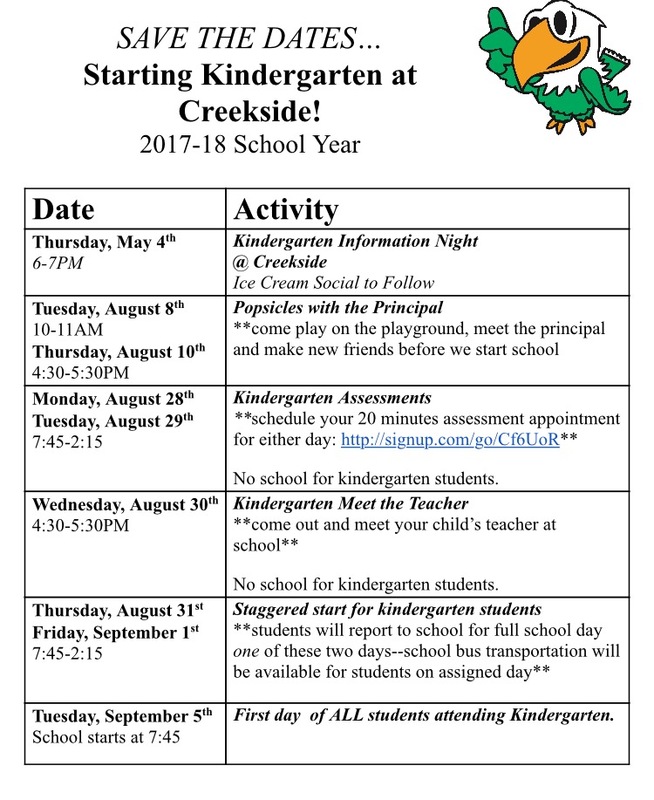 Crayola Color Cycle Program at Creekside Continues – We are excited to report that we are going to continue the marker recycling program started last year in conjunction with Crayola. It’s called CrayolaColorCycle – an amazing program devised to turn used markers into energy! Last year Creekside recycled 2,148 markers. Let’s see if we can beat that number this year!! All around Creekside Elementary students and teachers will be collecting used markers (all brands of plastic markers, not just Crayola markers, that includes dry erase markers and highlighters), that are ready to be discarded. The markers will then be sent to a facility where they will be converted into clean fuel. This fuel can be used to power vehicles, heat homes, cook meals and more! Please help support our efforts by sending your kids in with any used markers you may have around the house. Drop-off boxes will be located in each classroom for your child to deposit the markers. These boxes will remain in the classrooms throughout the year for continued marker recycling. 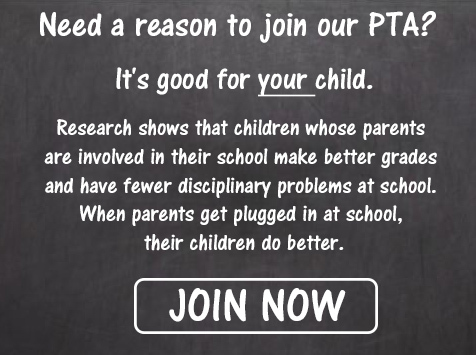 It’s NEVER too late to join the Creekside PTA! 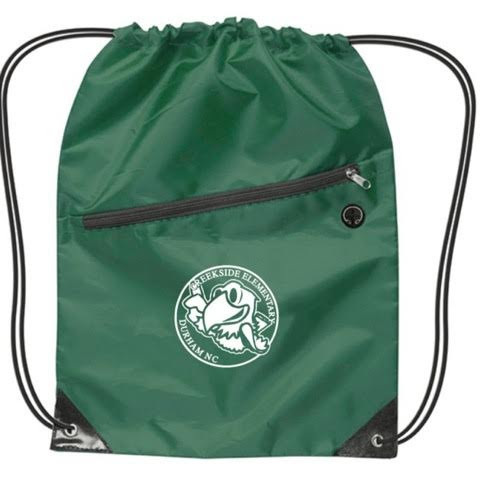 Link your Harris Teeter VIC card to Creekside #5611. Clip BOX TOPS and Labels for Education. Students may bring in Box Tops and labels every Friday to the Box Top store at the front of the school to trade them in for cool prizes.